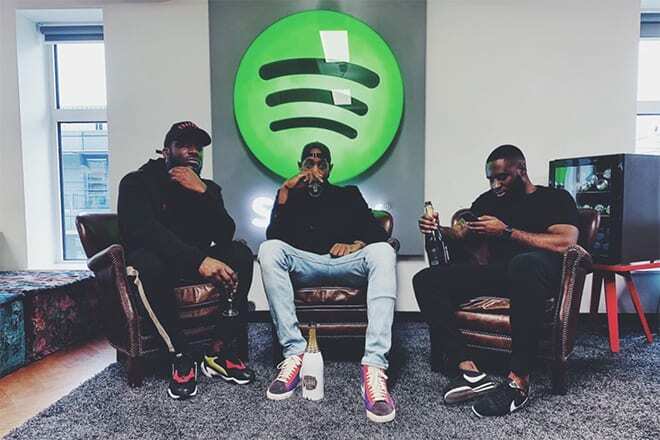 3 Shots Of Tequila – The podcasting trio of Keith Dube, Tazer Black and Marvin Abbey have signed an exclusive deal alongside Spotify. Having launched their podcast, a light-hearted, humorous take on current affairs, back in April 22 2016, the trio have gone on to release 137 episodes, all of which are available to exclusively listen to on Spotify. The 3 Shots of Tequila launches every Friday and since its inception, the group have never missed a release date, while also selling out 20 live-shows across the UK. The deal is the first of its kind for the UK podcasting scene, with 3 Shots of Tequila leading the recent podcast boom that’s swept the UK, launching over three years ago and expanding their brand ever since. Prior to their link up with Spotify, the podcast averages around 30,000-40,000 per episode each week and has a huge viral presence on Twitter, with the #3ShotsOfTequila hashtag often trending, while also establishing themselves on YouTube too.